Nissan has unveiled its new crossover, the Kicks, in Rio de Janeiro as the official automobile of the Summer Olympics. This move has been done as an effort to boost sales in Latin America. To meet the initial demand, the Nissan Kicks will be manufactured at Nissan's benchmark plant in Aguascalientes, Mexico. After this, full production of the Nissan Kicks will start at the Nissan facility in Rensede, Rio de Janeiro. This plant has been created specifically for the production of the Kicks. As a part of the proceedings, the Nissan Kicks is accompanying the Olympic torch's journey across Brazil which started on May 3 in Brasilia and will reach Rio de Janeiro on August 5, in time for the opening ceremony. 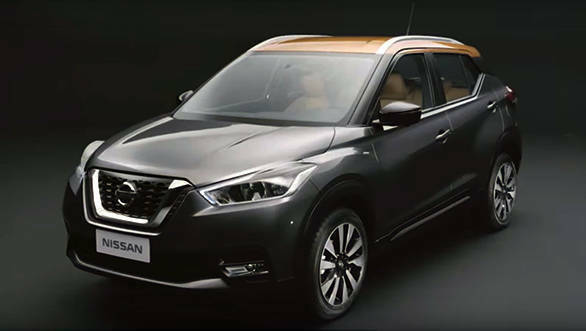 The aggressive marketing of the Nissan Kicks is due to the 200 per cent rise in crossover sales in the region over the past five years, according to Jose Luis Valls, President, Nissan Latin America. The Nissan Kicks will eventually be sold in more than 80 global markets. The Kicks gets Nissan's signature V-shaped grille with wraparound headlights and tail lights. The windscreen and windows are reminiscent of the Nissan GT-R. While the power plants of the NIssan Kicks are yet to be revealed, expect an array of inline-4 engines to be on offer.